Does robotic telesurgery have a future? Is Amazon about to disrupt the medical device business? The word “disruption” is bandied about a lot. But if Amazon does to the medical supply and prescription drug businesses what it did to bookstores, the effects could be truly disruptive to medical markets. Think the commoditization of a wide host of medical products, including diabetes supplies, syringes, IV sets and much more. Investors seem to think it’s a possibility. Since Amazon, Berkshire Hathaway and JPMorgan Chase announced on Jan. 30 that they would “bring their scale and complementary expertise” toward providing better healthcare for their employees, the stock of healthcare logistics company Owens & Minor has fallen about 25% in value, and Becton Dickinson is down about 8% as of this writing in mid-March. The Dow Jones Industrial Average was down about 4% during the time period. The Wall Street Journal followed up in mid-February with news that Amazon has been reaching out to U.S. healthcare executives to expand its business-to-business marketplace, Amazon Business, to hospital and clinic systems. Amazon is even testing out the concept at an undisclosed Midwestern hospital system, according to WSJ. There have also been reports of Amazon’s interest in the pharmacy-services business. Holt spoke of rethinking safety and security for healthcare supply chains. No wonder major medical device suppliers’ stocks are taking a hit. If Amazon can ensure safety and security — while also providing competitive shopping versus the supply contracts and purchasing organization arrangements that hospitals presently use — prices are likely to drop. Granted, Amazon will likely avoid implants, complex cardio and orthopedic devices and other highly regulated items, according to Modern Healthcare. That still leaves many arenas in which Amazon might compete for hospital system dollars. Owens & Minor CEO Paul Phipps actually agrees that the medical device supply space is ready for disruption. “It needs innovation, it needs connectivity and it needs transparency,” Phipps said during a mid-February earnings call with analysts, according to a Seeking Alpha transcription. Although Amazon already has traction in the direct-to-consumer medical products market and sells into small physicians’ offices, according to Owens & Minor’s Phipps, the edge for already established players like his lies in intra-hospital logistics. 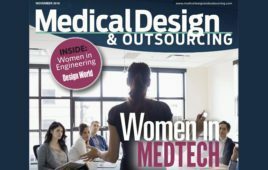 “What we bring is the knowledge of how to get medical products and medical devices to a hospital, but not just at a hospital [but] all the way into the operating room, to the cath lab, to the point of care,” he explained.